Tera Software Ltd, DQ Entertainment International Ltd, Panacea Biotec Ltd and Rushil Decor Ltd are among the other gainers in the BSE's 'B' group today, 09 April 2019. 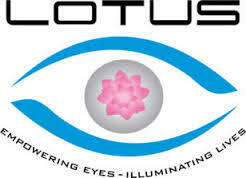 Lotus Eye Hospital & Institute Ltd surged 19.40% to Rs 28 at 12:03 IST. The stock was the biggest gainer in the BSE's 'B' group. On the BSE, 31 shares were traded on the counter so far as against the average daily volumes of 1598 shares in the past one month.  Tera Software Ltd spiked 13.61% to Rs 56.75. The stock was the second biggest gainer in 'B' group. On the BSE, 46494 shares were traded on the counter so far as against the average daily volumes of 9992 shares in the past one month. DQ Entertainment International Ltd soared 13.41% to Rs 8.37. The stock was the third biggest gainer in 'B' group. On the BSE, 34198 shares were traded on the counter so far as against the average daily volumes of 3152 shares in the past one month. Panacea Biotec Ltd rose 11.26% to Rs 201.55. The stock was the fourth biggest gainer in 'B' group. On the BSE, 1.69 lakh shares were traded on the counter so far as against the average daily volumes of 17795 shares in the past one month. Rushil Decor Ltd added 10.29% to Rs 502. The stock was the fifth biggest gainer in 'B' group. On the BSE, 3728 shares were traded on the counter so far as against the average daily volumes of 6854 shares in the past one month.